A tiny open-source application called MediaInfo is an excellent program which displays all the required information of media files i.e. audio/video. 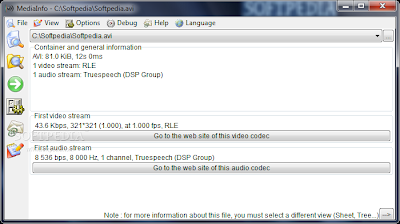 To be simple, if you want to have complete information about an audio or video file like Codec, Aspect Ratio, Sample rate, subtitle language, number of chapters and everything you need, with this excellent small program – MediaInfo. As there are numerous media formats emerging in multimedia technology field, the tech enthusiasts must know what are all the necessary technical information about a media file. MediaInfo’s interface has traditional menus on the top like File, View, Options, Debug, Help and Language. Below that there is drop-down to select the desired media file. As soon as you select a media file, all the related technical information of that file will be shown to the down. There are two dedicated buttons to visit the website of player for the file and the website of video codec. 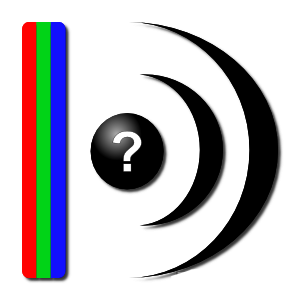 Container and General information, First video stream, First audio stream, and First/Second/Third text streams. The media format type (like MPEG-4, QuickTime, Matroska, etc), duration, author, title, overall bit rate and many more. Video and Audio data and analytics like format, codec, aspect ratio, language, sample rate and channels. The subtitle language, codec and format. The number of chapters and its list. The latest version – MediaInfo 0.7.59 is supported by all Windows, Mac OS X, Solaris and many Linux operating system platforms. It has got many other features apart from technical information of media file. Supports many video/audio file and subtitle formats. Display technical information in different prospects like Text, Sheet, Tree, HTML, etc. and also you can customize the default setting for display. MediaInfo exports all the technical data as text, CSV, and HTML, as you can send them to other people who are in need of. Three different interface versions are available – GUI, Command Line Interface and Library (.dll). You can drag and drop any media file and look over the information. Supports all major worldwide languages. Open-source and free to download.